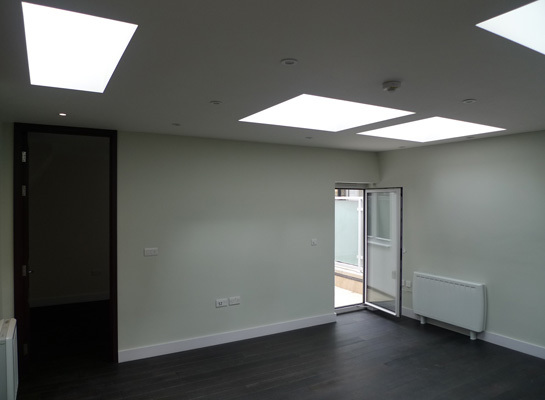 Our clients owned a building with a single storey rear extension. The urban context was very tight and in a conservation area so we had a long and difficult process to get the project approved for planning. 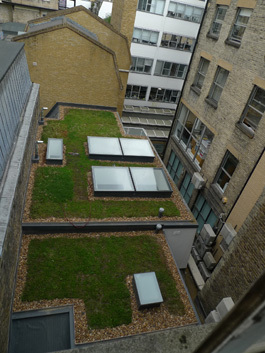 We secured approval for a new 1 bed apartment on top of the existing flat roof. It is accessed via the commercial building to the front, and we make good use of skylights to create a light and airy space.